A bridal shower pizza party is for the bride who loves pizza. It is typically a casual event. This fun theme that works well with small or large crowds. If you're having a couples party, this is one the guys will enjoy. • Your location can be a private home, rented hall, or neighborhood restaurant. The number of guests will help you decide. You'll find it to be budget-friendly, and easy to plan. You can purchase or make your own invitations. You may want to suggest that guests wear casual attire. Fun bright-colored decorations are suited to this theme. • Use solid or check tablecloths. Red, white, and black are well suited to this theme. • Add colorful balloons, streamers, and flowers. • Stack empty pizza boxes on the main table for effect. Plastic and paper items are ideal for this theme, making for an easy cleanup. • Games for your bridal shower pizza party. • Have a demonstration by a cook or pizza chef. Tossing the dough is an art form and will definitely keep your guests attention. Then have them explain the rest of the process...toppings, cooking time, oven temperature, etc. • The music you play, will depend on the crowd. You can keep it soft, or you may want it lively. Opera singers are a suggestion. Your menu will include pizza, of course! • If you are having the party at a restaurant, you will deal with them on how to handle the meal. It will probably depend on the number of guests, and whether it is sit-down or buffet. If the group is large, you may order a certain number of pizzas ahead of time. Possibly a sampler, could be prearranged. • At a rented hall or catered affair, you'll have to preorder your food items. • A small group, at a private home, could make their own pizzas. Schedule this as part of the activity. Have pizza dough ready. Let guests choose toppings such as pepperoni, mushrooms, pepper, onions, sausage, anchovies, etc. • Have plenty of drinks...iced tea, soda, beer, or wine. A bridal shower cake is always appropriate for dessert. You may also want to offer something light, like sherbet. 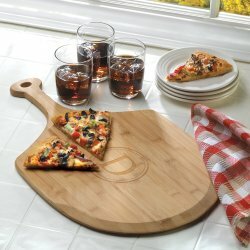 • Pizza party gift basket. 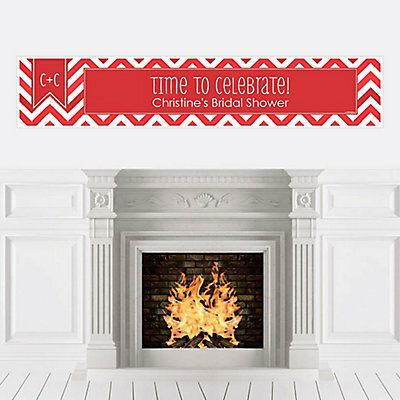 • Still deciding on your bridal shower theme?. • Go from pizza party theme page, to Bridal Shower Ideas For You homepage.